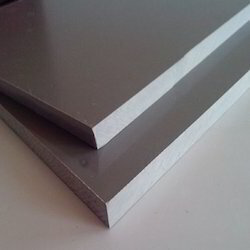 We are a leading Manufacturer of cpvc sheets from Mumbai, India. NovaRex CPVC Sheets are known to work at temperatures as high as 95 C. This makes these sheets highly useful in applications involving very high temperature. CPVC Sheets find usage in various chemical process applications and plating industry. CPVC Sheets are very tough and have high resistance to heat and chemicals. They are self extinguishing and have very low smoke property. This property enables CPVC Sheets to be used in various fire extinguishing applications also. The CPVC Sheets are manufactured in joint venture with CORZAN. Looking for CPVC Sheets ?